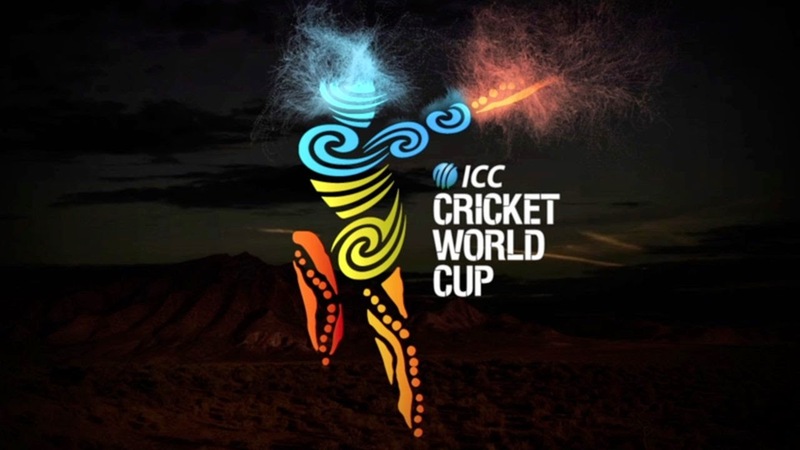 After a wait of 4 years, the cricket World Cup is here again. The lives of cricket fans won't be the same for the next one and a half months. We will watch cricket, talk cricket and breathe cricket. India is a cricket crazy nation. We follow cricket religiously and want our team to do well. During this World Cup, cricket will be the centre of all our discussions. Home, office, street, social media. Everywhere. To be honest, this time the level of excitement is not as much as the last time or any other World Cups, even expectations are too low from this Indian team. Semi-final maximum, not more than that. There is a reason for it. Indian team's continuous poor performance on this Aussie tour doesn't inspire confidence. India's most reliable ODI batsman and captain MS Dhoni hasn't looked good in any of the matches during this Aussie tour. And our superstar Virat Kohli hasn't performed according to his reputation in these recent ODI games. Still I think they will do well in the tournament. Rohit Sharma's form is a big positive for India fans. He has improved a lot in recent times especially in ODIs, scoring big hundreds is a common thing for him now. Hope he provides good starts in the tournament. Suresh Raina has shown signs of form and he will be a key player in the tournament, both as a batsman and as a fielder. Also, if required he can bowl some part-time spin too. I think it's Ajinkya Rahane who will have to play sheet-anchor's role and his contributions will be crucial for India. Others can bat around him and play their natural games. Bowling is our major cause of concern. Pacers look toothless more often than not, spinners fail to stop the flow of runs and struggle to take those crucial wickets in the middle overs. Their inability puts unnecessary pressure on our batsmen. No total is safe if we bat first. Oppositions will target this weak link. Chasing targets is India's strength but for that we will have to rely on Dhoni's luck at the toss in important games. Even in 2011, we didn't have a world-class bowling attack but there was Zaheer and most importantly we were playing at home so even part-timers like Yuvraj Singh chipped in with wickets when we required them the most. Even other pacers like Munaf had done a decent job. And apart from that one match against South Africa, Nehra wasn't bad at all. This time India's first match is against their arch-rivals Pakistan. No doubt that's a high pressure game. India have never lost to Pakistan in a World Cup match including World T20 and the combined head-to-head stat stands at 9-0. India will look to maintain this record and make it 10-0 while Pakistan must be dreaming to beat their neighbours for the first time in a World Cup match. This is the first time in my memory when Indian team will be playing a World Cup without India's most loved son Sachin Tendulkar. It feels bit weird but as they say, there is nothing permanent here. I have some memories of 1996 World Cup but I wasn't a cricket fan then, I started to follow cricket religiously in the last quarter of 1996. So technically, 1999 was my first World Cup as a fan. It's going to be my 5th cricket World Cup and I don't think expectations were ever as low as this time. Is it because there is no Sachin? Or maybe we don't care much as we have lived the dream in 2011 and are satisfied with it. Anyways, I think New Zealand looks the most balanced side in this World Cup and they will be the side to beat in the tournament. Also, they can take an advantage of the home conditions. They have already shown us a glimpse in their warm-up match against the other big contender South Africa. If you check the scorecard, you will find that no one scored even 70 and there were only two fifty-plus scores but still they ended up with 331. That's teamwork for you. I really won't be surprised if they go on to lift this prestigious trophy for the first time. My semi-finalists - Australia, New Zealand, South Africa and India. Also, I think we shouldn't write-off Sri Lanka completely, they have this tendency of making it to the business end of big tournaments. Think they have an outside chance of making it to the semi-finals. Here's wishing for a successful tournament. Good luck India!